Hard Rock Hotel Bali is situated across the road from Kuta Beach and right amongst the shopping, dining and nightlife precinct! This Bali accommodation offers a free form swimming pool, kids club, day spa, and endless entertainment including the main bar, Centrestage which offers live entertainment every night. 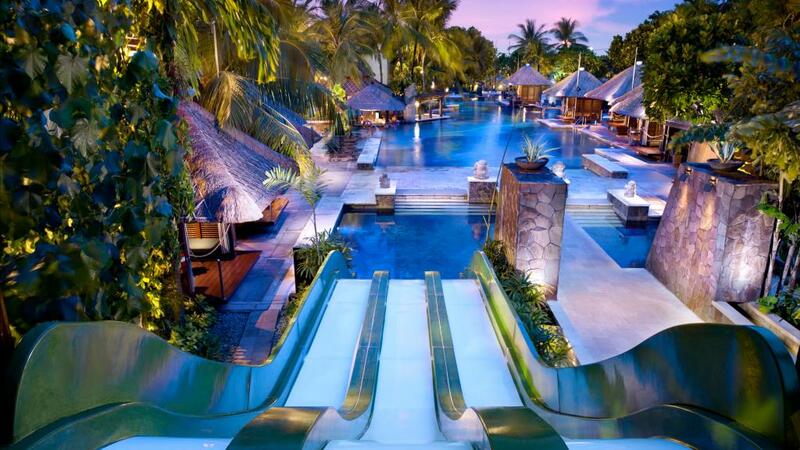 Hard Rock Hotel Bali is ideal for couples and families alike. Shopping, nightlife and the famous surf beach of Kuta within a short distance of the Hard Rock Hotel Bali! From this Bali accommodation you are only 15 minutes from the International Airport and within easy access of the boutique shops, restaurants and cafes of Seminyak and Legian. Hard Rock Hotel Bali is ideal for families or couples looking for somewhere modern and convenient to stay while on their next Bali holiday.